Exclusive beachside lodge with panoramic sea views and beach access. Luxury beachfront lodge sleeps 2-4. Detached very private stonebuild lodge style accommodation, situated in an exclusive part of Llandudno. Located within the expansive grounds of a detached beachfront house, this holiday property allows direct access to the quiet beach. The high tide is literally feet away and low tide reveals sand, rock pools and wading sea birds; along with unsurpassed views of the Snowdonia mountain range and Conwy Estuary. Fine days bring beautiful sunsets. This is a simply perfect place for couples to relax. The enormous garden is shared with the owners who live on site, however such is the layout and size, that privacy is guaranteed. The accommodation includes a fully fitted kitchen, shower room and toilet, dining room and bedroom, all recently fitted with brandnew furniture and equipment. Free Wireless Internet access is included. Outside the lodge is a private seating area which is ideal for barbeques, stunning sea views, mountains and the Isle of Anglesey. Secure private drive and parking. Inside there is one double bedroom plus a double sofa bed in the dining area, allowing 2-4 to sleep comfortably. Small but well appointed kitchen with microwave, toaster, fridge. Washing machine just outside the chalet in an outbuilding. Lounge/dining room includes a Smart TV/DVD, stereo, sofabed, 4 seater dining table. The bathroom comprises a shower, basin and WC. Towels and bed linen are included. The views depicted in the photos are taken from the garden and not the chalet, however there are still good views from the lodge of the mountains and sea. Please note the lodge is strictly non-smoking inside. Mountain guiding: If you enjoy walking, or have that that urge to conquer Snowdon, Wales' highest mountain, but don't quite have the experience to go it alone, we can also offer guided mountain walks. Walk the famous Carneddau or Glyder ranges with full days out. Routes tailored to suit all ages and abilities. With an extensive knowledge and 21 years mountain experience of the nearby Snowdonia National Park we can guide you to the summits. £40 per person, max party of 6 persons, minimum £100 per day. Contact owner for details. Shower room consists of a built in shower, toilet and sink. Central heating, with additional electric heater to supplement if required. Yorkshire Tea and Douwe Egbert coffee, salt, pepper, olive oil for cooking provided. Kitchen diner/living room in one. Plenty of toys available for all ages. Various DVDs for both adults and children. Lots of spots to sit on benches or on the large expanse of grass and take in the views. Croquet lawn. A private "sun trap" right outside the lodge with table and comfy chairs. The shower is built using a raised tray type with a sliding door. The garden is shared with the owners, however privacy is assured due to the location of the accommodation, layout and size of the garden. Access to the beach is directly at the bottom of the garden via a concrete ramp. Access onto the beach for the infirm or wheelchairs is possible, however tides affect the height of the beach at the bottom of the ramp which is also quite steep. There is a viewing pier overlooking the beach which would be perfect for wheelchair users. The beach is open to the public via West Shore, however very few venture to this location. Use of the beach and accessing it is at your own risk. Beautifully appointed, wonderfully located accommodation. Comfortable & Light-filled. Wonderful hosts. Would book here again in a heartbeat! I loved staying at Plas Haf for the week. Everything you need in a holiday property for a wonderful week away from it all right next to the sea. Stunning views from your door and the perfect place to relax. I have been visiting Llandudno for many years, and love it, and now that I have stayed at Plas Haf and know how fab it is, I love Llandudno even more !! Great to know we have another convert! Hope to see you back sometime. Lovely coast side house. Well equipped, ideal for 2 people. Had a lovely few days over New Year. Excellently situated, within walking distance of Llandudno town centre. House is well equipped and Craig made us feel very welcome. Lots of attractions within short driving distance. Will visit again. The property was very clean and all that you could require was provided. The views were incredible and it was amazingly quiet. Highly recommend anyone to stay here. Just big enough for a couple to have a great time away from busy life. Everything you will need is provided and the hosts are friendly and welcoming. We'll be returning soon. Being a Victorian seaside resort, Llandudno has something for everyone, being one of the most popular seaside destinations for over a hundred years. The town has developed to offer many more things. The Great Orme itself sits directly behind the property with it's cable car, tramway, copper mine and world famous wild Kashmir goats. Not to mention miles of walks with outstanding views. 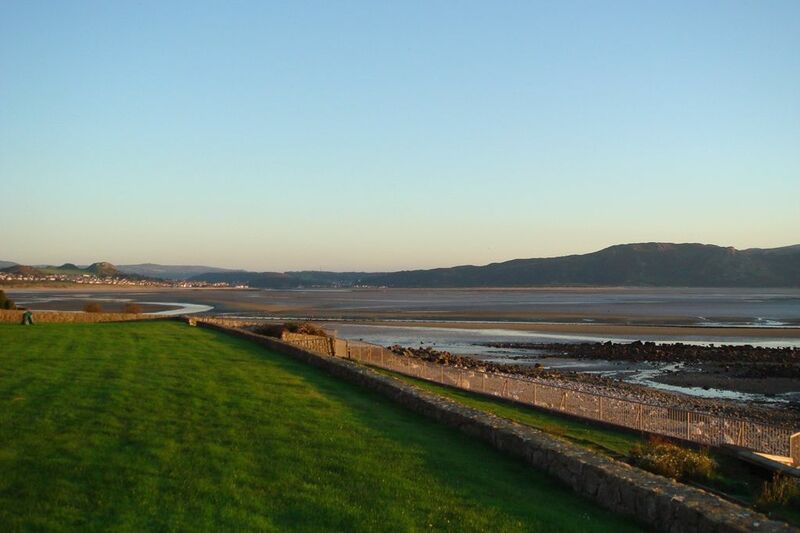 Nearby are two golf clubs, sailing, horse riding, mountain walking and running, mountain biking, cinema, dry ski slope and local tourist attractions, the trams and cable cars in Llandudno, fantastic traditional and contemporary pubs and restaurants. The picturesque village of Betws Y Coed is only a 25 minute drive away and the Isle of Anglesey approx 20 minutes. Llandudno is also only a 10 minute drive from the medieval walled town of Conwy; with it's castle, fishing quay, and many visitor attractions. It's also the gateway to the Snowdonia National Park. Booking weeks are Saturday to Saturday unless otherwise agreed. You may pay a deposit via HomeAway direct payment, and the balance by cash on arrival if you wish. Payment by electronic transfer is accepted and the account details will be provided. Directions and access arrangements will be agreed in advance of arrival. Check in 4pm (though can usually be ready by early afternoon), vacate by 10.30am. We're flexible on these arrangements dependent on circumstances. Any special requests feel free to ask owner.